The Alvin Ailey Dance Theatre makes their annual return to Zellerbach Hall in Berkeley for 10 performances from 2/21 to 3/2. Tickets are available from the Cal Performances box office. For the Patrice Rushen fans, the “Patrice” (1978), “Pizzazz” (1979), “Posh” (1980), and “Now” (1984) albums will be reissued on CD on 2/25. These are some wonderful classic albums from this very talented singer/musician/producer/music director. I had a chance to see her in concert for my first time last year and she was phenomenal. Ashford & Simpson’s 1973 “Gimme Something Real” and 1981 “Performance” releases are now available on the www.soulmusicsite.com website. Three Mo’ Tenors are coming to the Paramount Theatre in Oakland on 3/19. Tickets are available at Ticketmaster. The Jill Scott remix of “He Loves Me” takes local San Francisco DJ Jay-J to the Grammys. Thanks Tubba!! Christian McBride’s new release “Vertical Vision” hits the stores on 2/25. Just a little more Lizz….the song titles, musicians, and producers have been listed for her upcoming debut release “Salt.” I am really glad to see that Kenny Banks is playing piano on several of the songs. He is an amazing musician. No, I am not president of the Lizz Wright west coast fan club. At least, not yet!!! This entry was posted on Wednesday, February 19th, 2003 at 6:54 am. It is filed under Music News/Info and tagged with Alvin Ailey Dance Theatre, Ashford & Simpson, Christian McBride, Cook Dixon and Young, DJ Jay-J, Jill Scott, Lizz Wright, Patrice Rushen. You can follow any responses to this entry through the RSS 2.0 feed. absolutely love patrice rushen….even love her work on unwrapped volume 2. 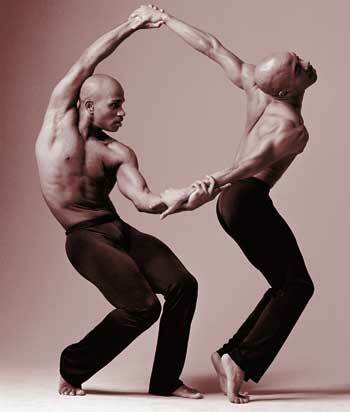 I’m a huge fan of the Alvin Ailey Dance Company! That reminds me I need to dust my Three Mo’ Tenors CD off — It’s been so long since I enjoyed their voices.